← Waterless Car Washing: Should You Wash Your Car Without Water? 5. Wipe down the dashboard and steering wheel using a homemade cleaner of water and white vinegar. The steering wheel, by the way, tends to have the strongest smell. 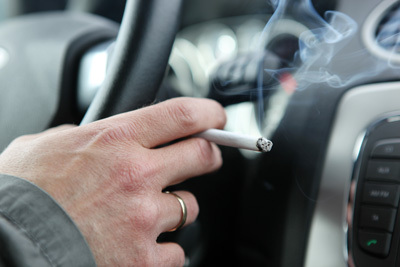 Smokers tend to blow directly in front of the wheel instead of out the window. Unfortunately, the DIY process above isn’t a fail-proof method. It works wonders for some car owners, while for others the smell persists. In the latter instance, a professional auto detail is the next logical step. Some car owners may opt to replace the mats and seat coverings. This may help to some extent, but the smell will still be embedded in the cabin itself. Bring your car to Bellingham Detail and Auto Glass if your car smells like a smoker’s lounge. We detail and remove foul smells as part of our car protection package. Add a car wash on top of that and your vehicle will look like new. We remove cigarette smoke from a car as well as other lingering odors.